Laurel Bern recently did a post on that ever-fascinating, mind-bending topic — the trick to “the mix” of contemporary and traditional elements. Articles have been written on this topic ad nauseum. Even considering the fact that Laurel has major design creds (she’s a veteran-designer-turned-blogger rather than the other way around, like it often is), I was a little sceptical whether or not she would have new light to shed on this topic for homeowners. However, she did come up with one little jewel of advice. Cheer up! Despair not! The rest of us can learn from study and imitation. Let’s focus on that coffee table statement! If you have a modern home, if you have a traditional home, if you want to throw in antiques, if you want glam, if you want neo-trad-meets-casual comfort, or a rustic-iron/wood-accents-with-shappy-chic-slipcovers, I have the coffee table for you that will give you the mix you seek…. Ming tables come in all sizes, colors, and finishes — woods, linen-wrapped, brass, iron, mother of pearl. You name it. But they have 2 things in common — the Chow legs and/or feet and slight pagoda-like overhang to the top. Corbusier chairs, a zebra rug, charcoal walls, an ancestral portrait, and a red Ming table. Andrew Howard goes airy and refined beachy. Super traditional Southern elegance by Margaret Kirkland. Everyday with bits of fun in Lindsay’s family room. Looks great right in front of Courtnay’s mod upholstered lounge chairs and the Victorian moldings in the living room. No one paints rooms yellow anymore. Why not, I wonder? Laurel used the above pic to illustrate a sofa that some people saw as traditional and others as contemporary. I was looking at the coffee table. Airy and light with a dark Ming to ground the space. Yep, I have one, too. Because of the small scale of the room, this one was custom made by a trade-only shop near the Boston Design Center and is thanks to one of my design mentors and friends Dena Hamilburg, who introduced me to the wonders of what is possible when you’re a trade professional. 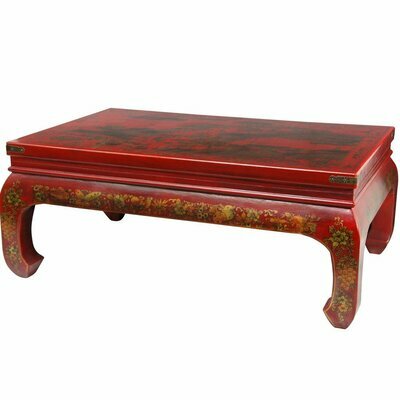 So, if you like this style, the big question is: “Where do I get it?” Your basic wood Ming coffee table can run you $250 +shipping from eBay to $2,500 + for a real antique or a custom job. 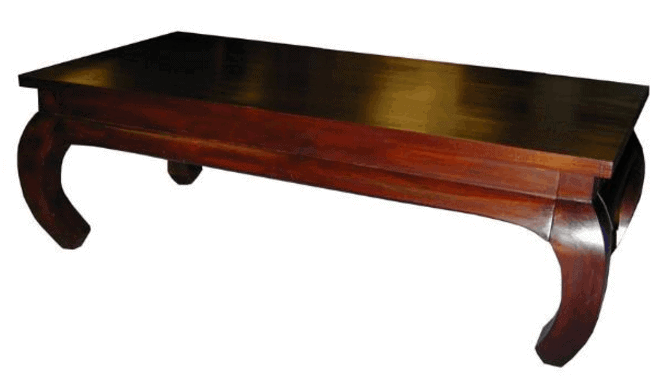 A word of caution to vintage buyers — these older tables can run really low … in height, I mean. 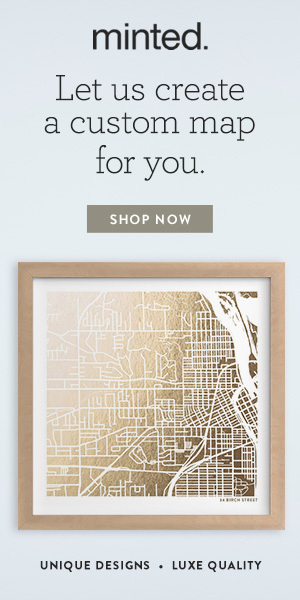 Like 12″-14″ high. Because most chair/sofa seats cushions are at about 18″ high, modern coffee tables run 16″ on the low side to 20″. If you find a Ming at 12,” you will be reaching DOWN. No problem if you like the low, hipster, I-still-dress-like-I’m-at-NYU style, but if you plan on serving tea and scones, or even espresso and Oreos, watch out for those low ones. 1./2. The white one is going out of production — if you like, buy soon! 3. Great fretwork top and color. Also comes in white and gray. 4. Ming twist on a typical iron table. 5. Shagreen top, how cool?! 9. Custom grasscloth-covered Ming available to consumers, not just trade. 10. Comes in 21 colors and finishes! 12. / 13. / 14. Any favorites? Are you sold? PLEASE! If you buy one, let me know! Some of my other “round-ups” that have included vintage eBay and Etsy things have sold the day I posted after months of languishing online, and I’d love to know that I’ve helped you find your gem. Thing 1’s baseball season championship is on Sunday, and then maybe I’ll get back on an editorial calendar and some idea what I will be writing about from week to week. ‘Til Saturday then! What a wonderful way to start my day finding you had included me in this fabulous post! I agree wholeheartedly and have used ming and opium coffee tables in numerous designs. They always look terrific and add an element of sophisticated style. And yeah, the one in the red living room is an antique. I was so happy that the client loved it as much as I did. BTW, your library is fabulous! And I LOVE the real antique table you found. I’m a sucker for authenticity.